Changeovers | Carnahan & Sons, Inc.
We are making some changes. First one is in the office. Our 10-year-old Windows 7 computer has begun to sputter a bit, locking up occasionally, and causing some frustration. So, we are moving up to a new Windows 10 computer. The rolling over of the information has been aided by using the internet, and by using a large external hard drive. We have had to call in our consultant, Tim Trotter, to assist in the moving of the email system, so that none of the historical messages will be lost. We will be transitioning to a new email system as soon as Tim can get it set up. We should be fully operational (like the Star Wars battle station) in a day or two. 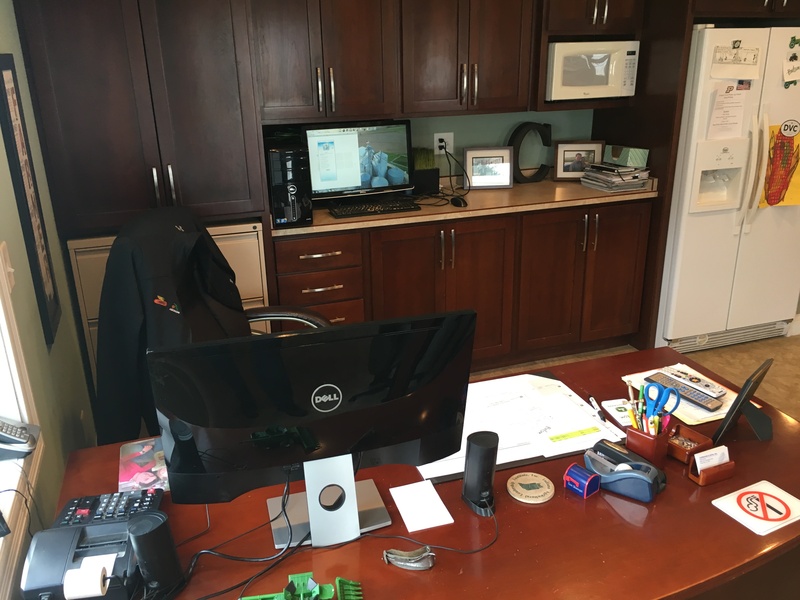 We set up the new computer on the cabinet behind the desk, as a temporary site until the transition is complete. Then, we will move the new machine to its rightful place on the desk. Looking across the desk int he morning, the new computer is on the cabinet until we get it fully set up. In the afternoon, the switch has been made, with the new computer on the desk, and the old one on the cabinet. Still waiting to make the transfer of email programming. Another transition we are making is from John Deere Apex to Operations Center. With the addition of the new 9520R tractor that has a Gen 4 screen inside, those set-ups must be made from OpCtr, not Apex. We attended a training session last week to learn more about OpCtr, and we have decided to move ahead with that system. OpCtr has been around for a few years, but now we are diving into it fully. It appears that John Deere is limiting their support of the old Apex system, and planning for most customers to move to the cloud-based OpCtr. So, very soon, we will begin writing our 2018 planting and nitrogen prescriptions, and we will now do that in OpCtr, not in Apex like we have done for many years. Another change. We will soon know if it is an improvement– today it seems like it will be. 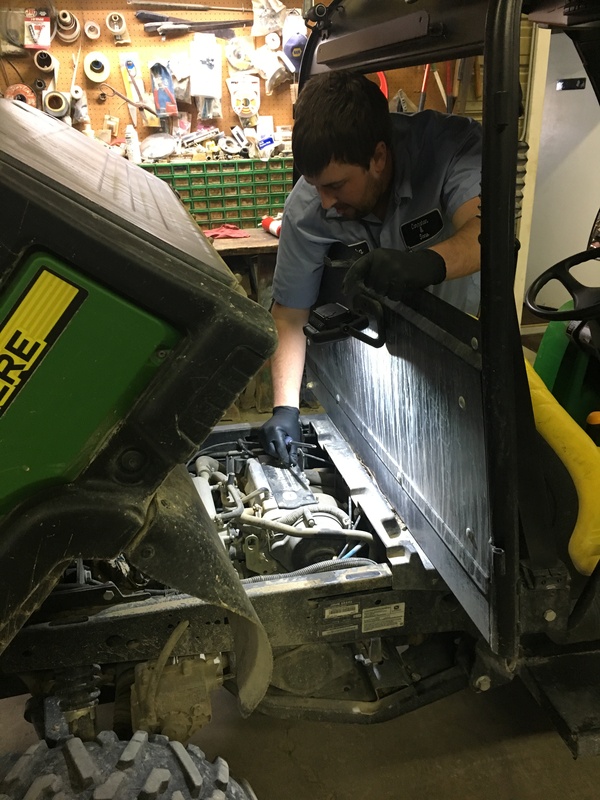 In other news, John had to replace the spark plug wires on the Gator. It was running very rough. But the change he made makes the Gator run smooth as silk again. John worked his magic again on the Gator. Runs great again now. 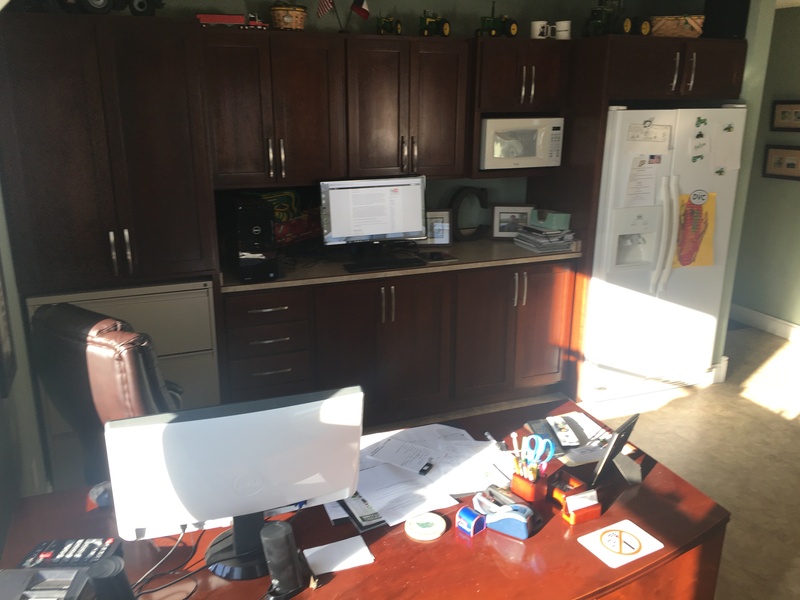 This entry was posted in Family Life, Farm Days, News, Planting and tagged Apex software, creating planting prescriptions, JD 9520R tractor, JD Gator, JD Gen 4 display, nitrogen prescriptions, Operations Center, prescriptions, Windows 10, Windows 7. Bookmark the permalink.